Your favorite cold brew coffee is getting an upgrade. 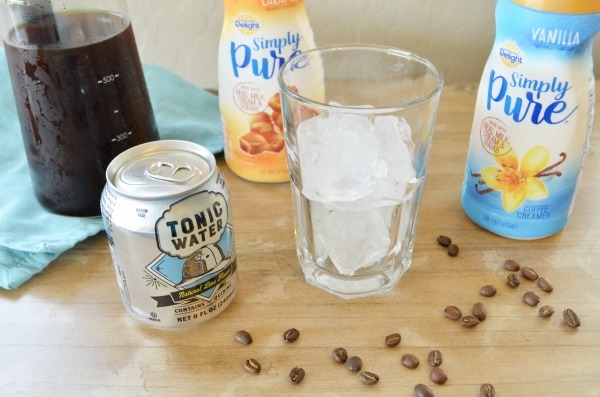 This cold brew tonic is simply delicious with only 3 ingredients. 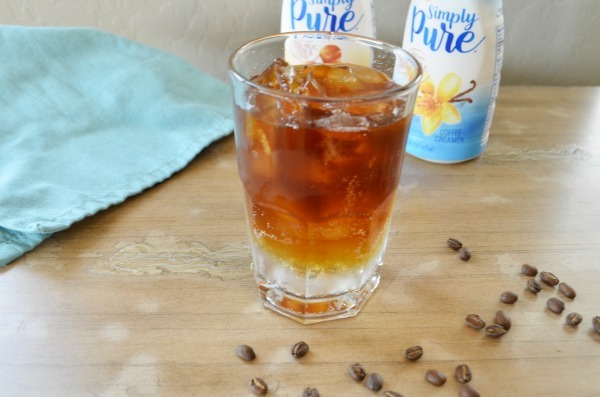 The newest trend on the coffee scene my former barista hubby helped me concoct this refreshing recipe- cold brewed coffee served over bubbly tonic water with a splash of Simply Pure Creamer! 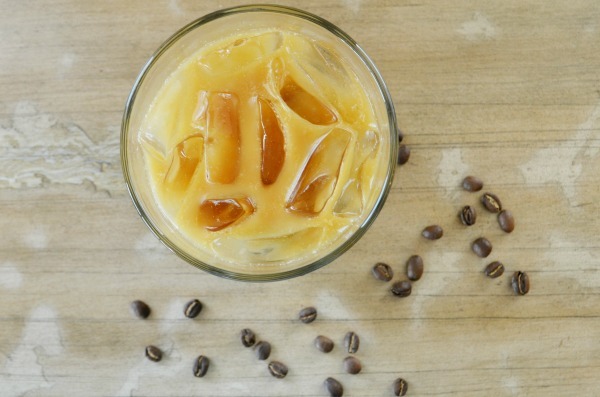 Coffee time is an important time of day in our house and this new recipe is the perfect refreshment to enjoy as a midday pick me up. At the heart of the recipe are 3 simple ingredients: coffee, tonic water, and Simply Pure creamer made with real milk, cream, and sugar. The taste of your cold brew tonic is only as good as the ingredients you use. 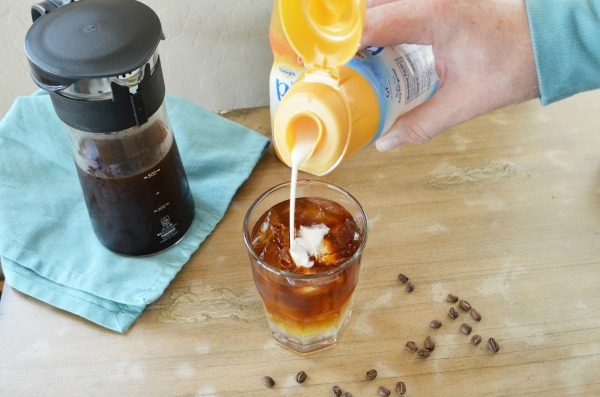 Start with a high quality cold brew coffee you love and a simply delicious creamer that does’t loose its flavor. Pour tonic water slowly over ice, about halfway full. 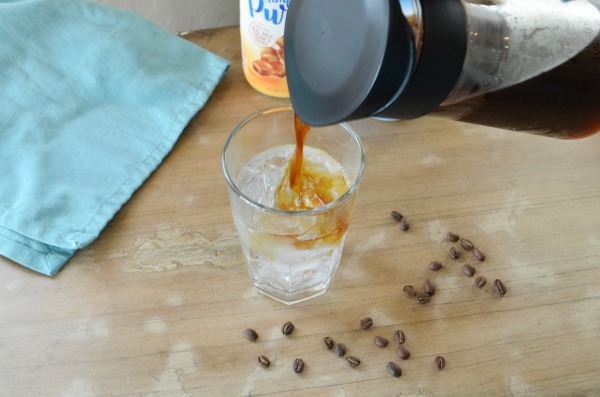 Pour coffee directly over ice until you almost reach the top. 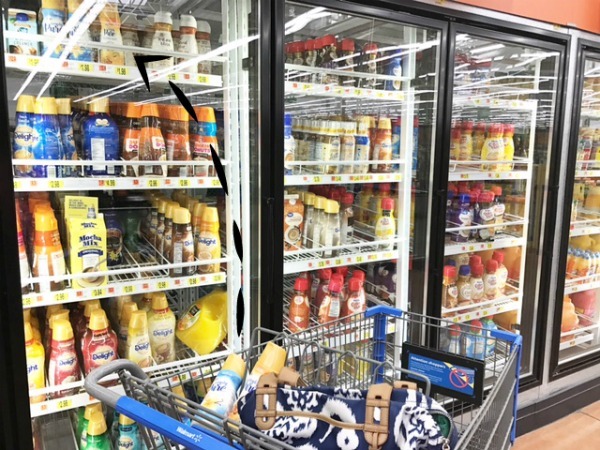 Leave a pull of space in the cup for creamer. 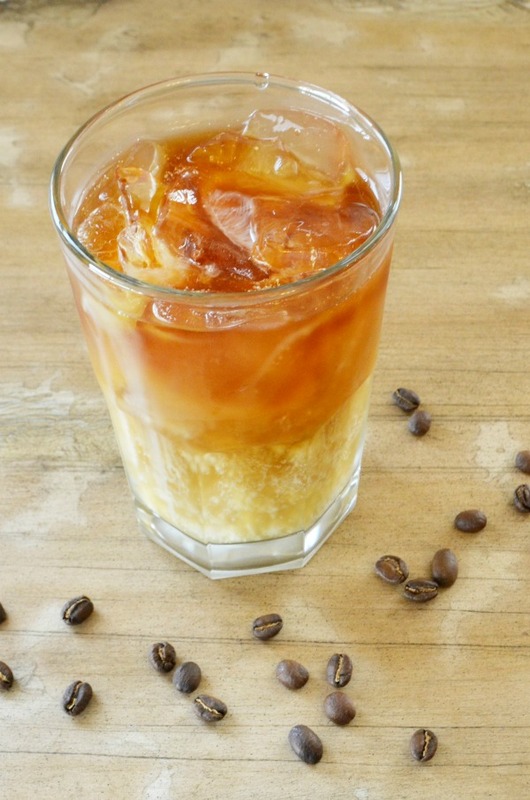 To get the beautiful layered effect pour the cold brew coffee directly onto an ice cube. This helps the coffee to not disturb and mix with the tonic water below. 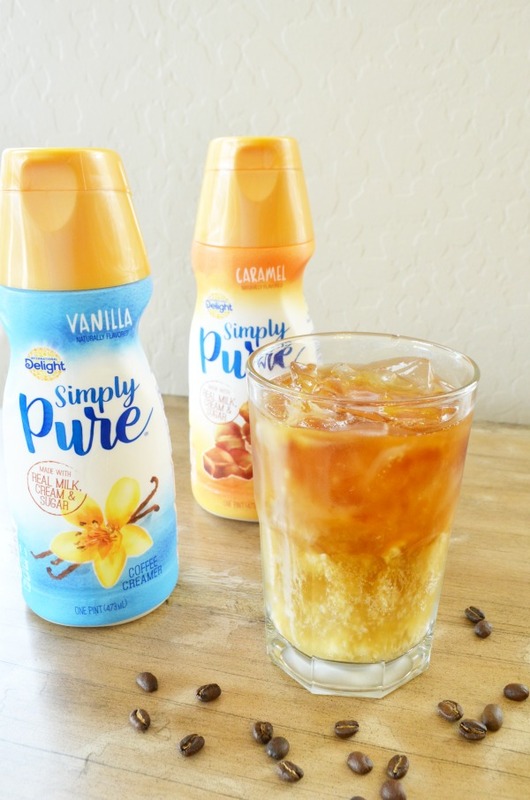 Top off your cold brew tonic with a drizzle of Simply Pure creamer. 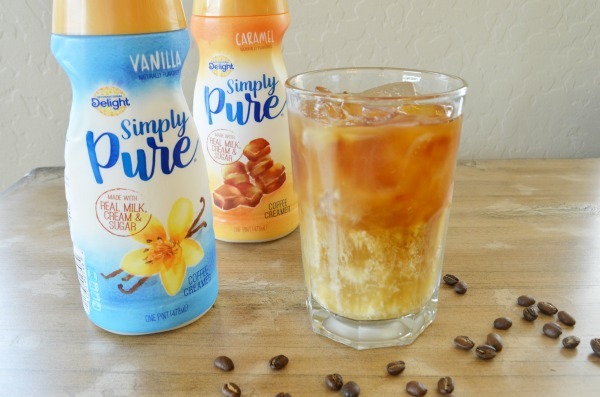 It comes in two simply delicious flavor: vanilla and caramel to take your favorite cup from boring to brilliant! 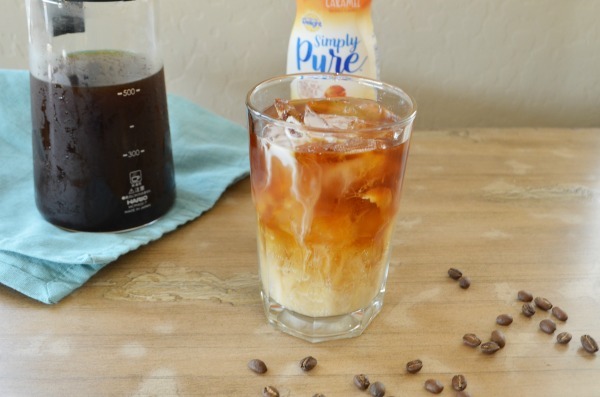 This drink looks great served in layers, then just give it a swirl to mix together all the delicious flavors and textures of the cold brew, Simply Pure creamer, and tonic water. Find both varieties in the diary cases at your local Walmart. They come in convenient 1 pint pour spot containers with a flip top lid. 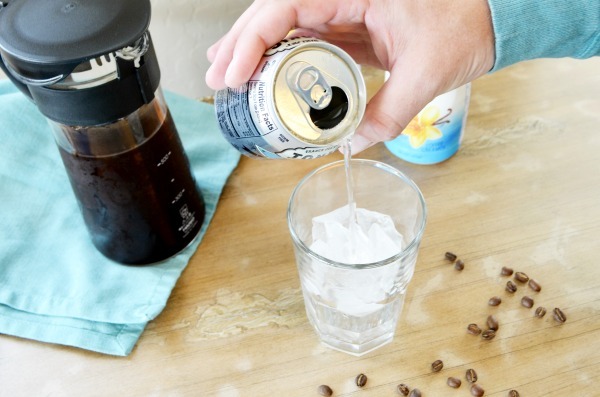 Making a delicious cold brew tonic has never been easier! Find even more tasty pairing and drink recipes here. Ready to upgrade coffee time? Pin it for later.